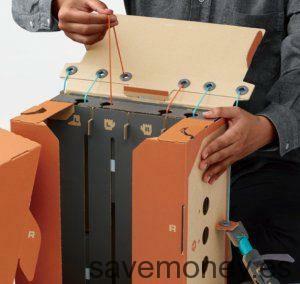 Nintendo Labo: The new console that will change the way you play - SaveMoney Blog! Today we want to talk to you about the latest Nintendo. 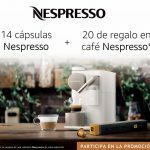 Maybe you’ve seen some ads where some pieces of cardboard come out for the Nintendo Switch. 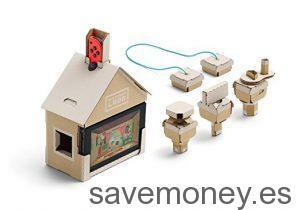 This is Nintendo Labo, an educational platform, which together with Nintendo Switch, you will be able to create these pieces of cardboard called Toy-Cons, which include controls for mini-games, and remote control devices. 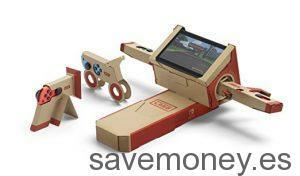 If you have not seen what we are talking about, to give you an idea, the Toy-Cons of Labo are a kind of Lego. The grace of this game is that with a piece of cardboard you can play with it, and see how it comes to life. 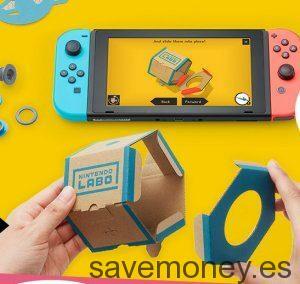 But hey, let’s go little by little telling you what this is about Nintendo Labo, and its Toy-Cons. The first part of the game is to create the Toy-Cons. To do this, you have to put together the pieces of cardboard that are already pre-cut. To build it correctly comes written instructions, and visual, so you know how to fold each, and how to unite. Once you have your Toy-Cons ready, it’s time to play. 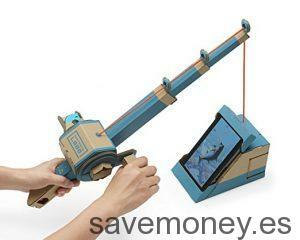 To do this, you have to place where your Switch corresponds, to integrate your console into the cardboard toy. There are different Toy-Cons, like the RC Car, the fishing rod, the Piano, the Motorbike, the house, the Robot. 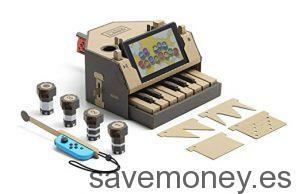 What do you expect to book your Nintendo Labo??? Be prepared to take a pleasant surprise with this console, and its Toy-Cons. Also, if you have made more reservations with Amazon you will know that they are all advantages. Book now and pay nothing until your console is on the way home. And if you’re from Amazon Prime, for free, you can have your console at home on the day of launch. 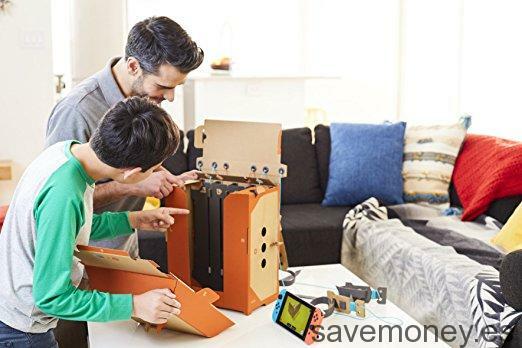 The Nintendo Labo Reserve has a guaranteed pre-sales price, so that if the price changes since you make the booking will make the shipment, Amazon will charge you the lowest price. How??? 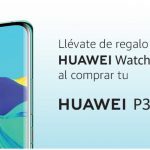 You’re still not Prime??? And you’ve never been??? 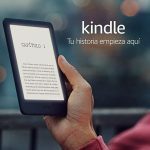 Then try to be from Amazon Prime for free for a 30 day trial period. 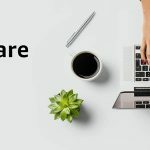 Start your free registration at Amazon Prime. Well, Hale, I said, get in the mess, and make the reservation of your Nintendo LABO!!!!! And be the first to have it next April 27th.